It’s been an on-going project for me, but remains driveable. I bought it a few years back from a friend in SC and immediately began “upgrading” the car to the point it is today. 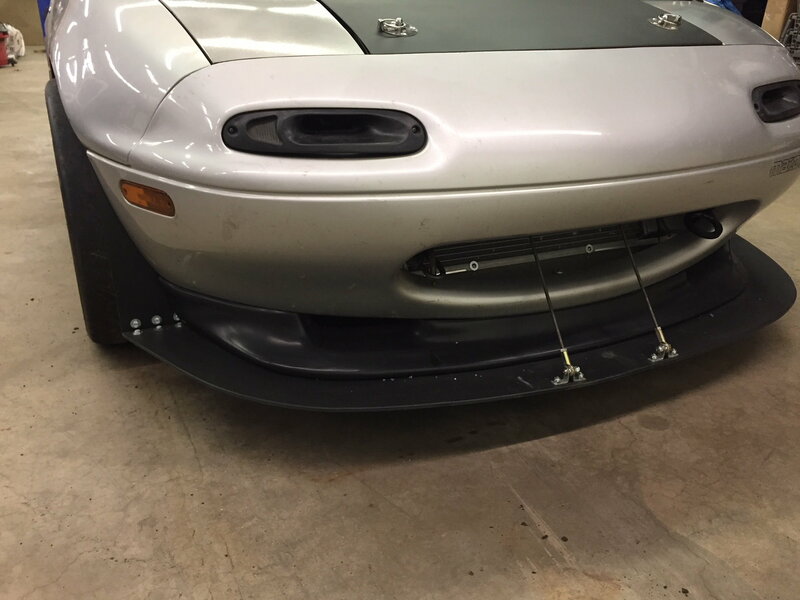 Other than installing headlights(stock ones included with the car), there isn’t much more that can be done. - Ford 8.8 rear with aluminum housing w/ Eaton Tru-Trac, Torsen or Quaife differential(can’t recall) and 3.27 gear. Martin MotorSports axles. Axle safety loops. 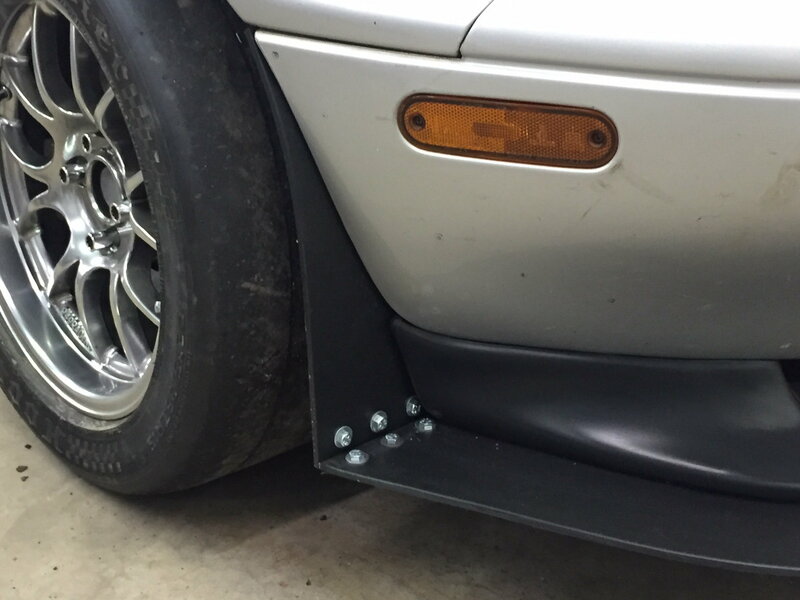 Custom tubular mount. 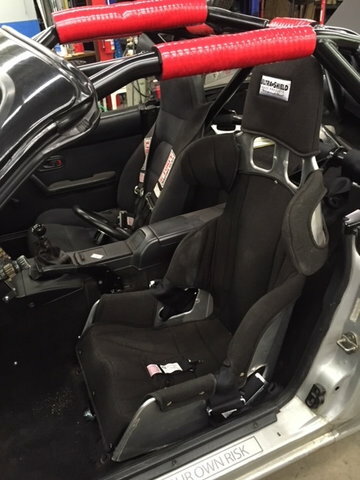 - UltraShield 17” 10* layback aluminum seat mounted to the floor and a back brace to the cage. New G-Force 5-point camlock belts. 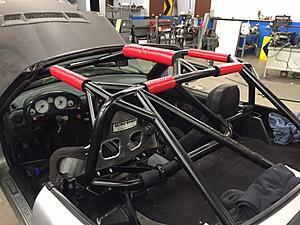 Grant 13” steering wheel with Miata Cage splined quick-release. Longacre billet shift ****. Stock carpets. I can go to the shop, turn the key, pull the ignition button, hit the start button and it fires right off. Starts, idles and runs just fine. Basically it’s a toy. I bought it as one, built it further as a trackday/hillclimb car but still kept it civilized enough to run around town with. 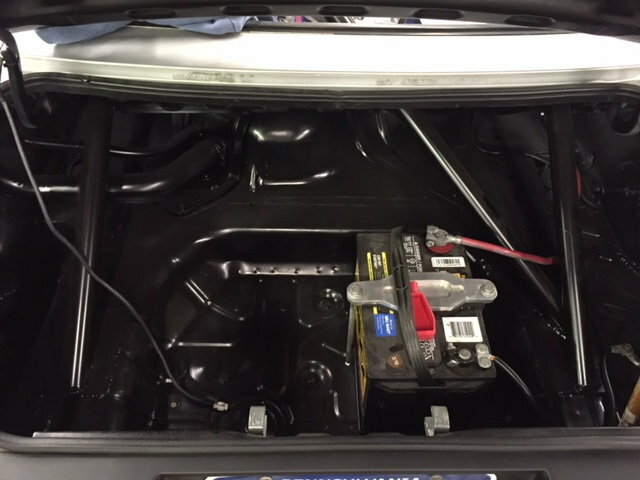 To properly license it, you will need to install headlight(included with sale) and do some lighting wiring. I never looked into the wiring to be honest. In order to move this along to its next owner, I would sell it for what I have invested in it. I didn’t calculate any labor costs into the above list. 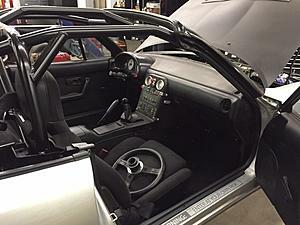 Normally I charge $2500 for a full Spec Miata cage like what I have in this car just without the door bars. I only have the material costs in my calculations. Basically $14,000 buys the car with all 3 sets of wheels. I would be willing to keep certain items like the 6UL wheels, UltraShield seat and the trunk with the spoiler in order to reduce the price. Basically deduct the cost above from $14k. 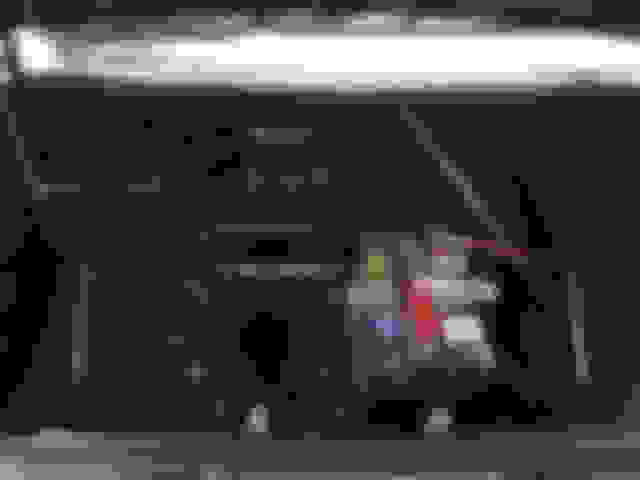 Last edited by w650gb500; 10-03-2018 at 08:04 PM. Here is a video from when the car was first built back in 2003. I was a bit hasty in typing the ad and forgot to add some important information. 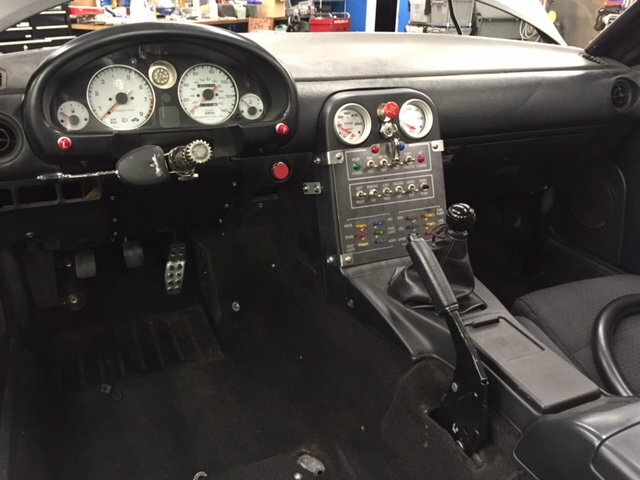 The engine is set back 11-12”, the firewall and cowl have been cut , a new transmission tunnel has been fabricated, all custom engine/trans and diff mounts, delrin a-arm bushings, lots of fabricated and TIG welded pieces throughout. There is no heater, A/C, PS, PW, PDL or any other crap that won’t make the car lighter or faster. It was built to compete and win and that’s just what it did, it won the 2003 GRM Challenge. It won so well that the rule book had to be rewritten for future events because these guys found a number of loophole to use to their advantage. Its better now that it was back then and is ready for the next owner to take out and have fun with. 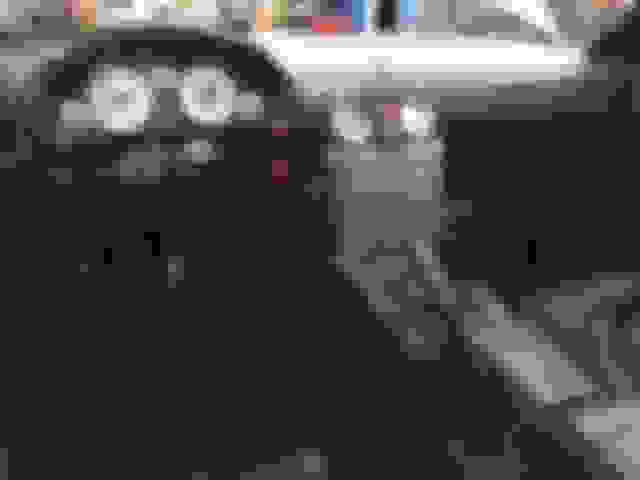 Last edited by w650gb500; 09-15-2018 at 08:26 PM. I have a stock trunklid and drivers seat as well as the 15x7 wheels that the car originally came with. 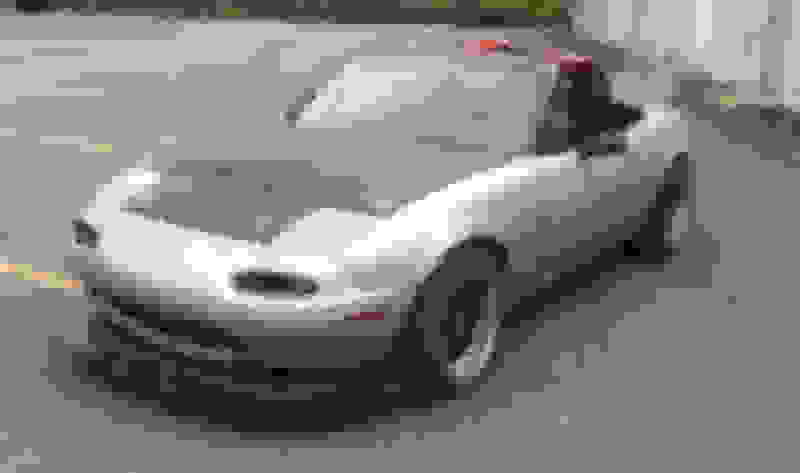 is your Miata still for sale? 70 year old looking for a Bucket List car! We have owned two stock Miatas in the past. Can you tell me if there is anything left to do/work-on with your car? 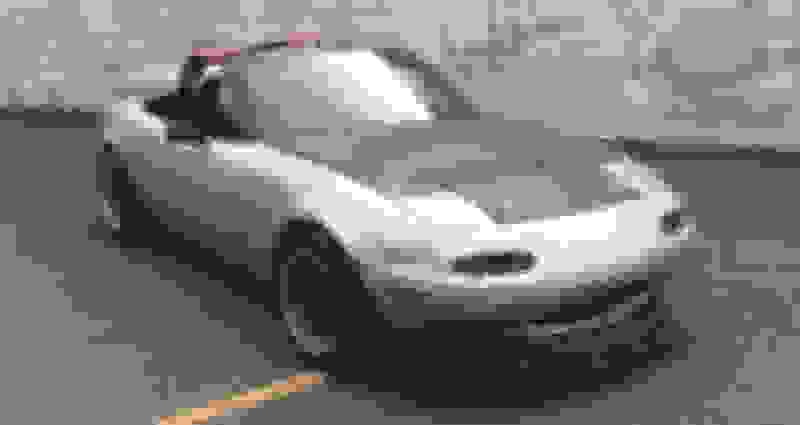 Can you tell me if there is a top for the car? 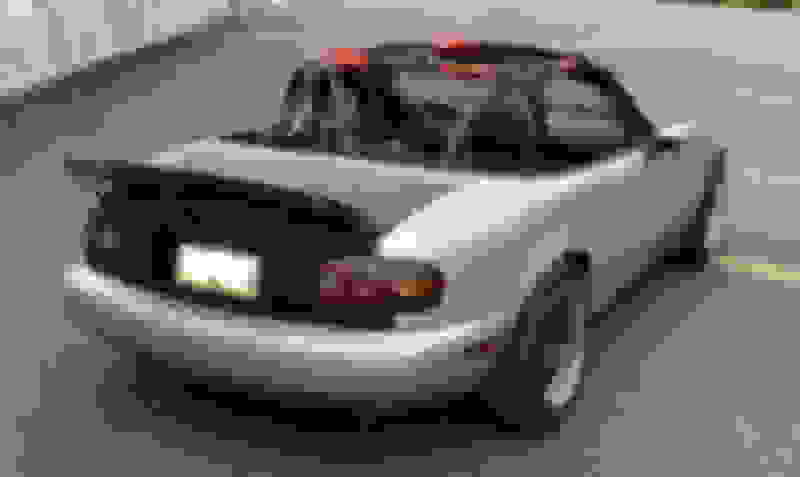 Convertible or hardtop, or if neither would work? I would need to have you work with a shipper, possibly bring the car to a large empty parking lot. I live just north of Toledo Ohio in Temperance Michigan. Good talking to you last night! Here is a photo of the 31 Ford Gasser. 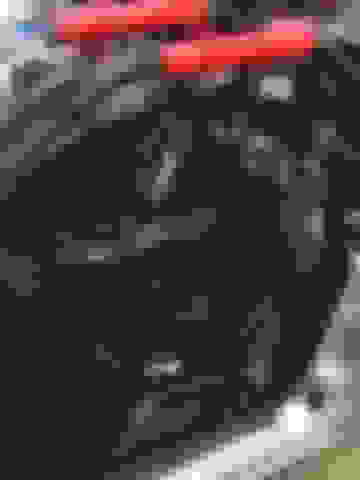 Please send photos of Henry J! As requested, here are some pictures of how the car sits today. The black center wheels are the 15x7’s, the dark silver center wheels are the 15x9 6UL’s with the 275/35-15’s. Hi just a couple of questions. Is the top that fits over the cage included? 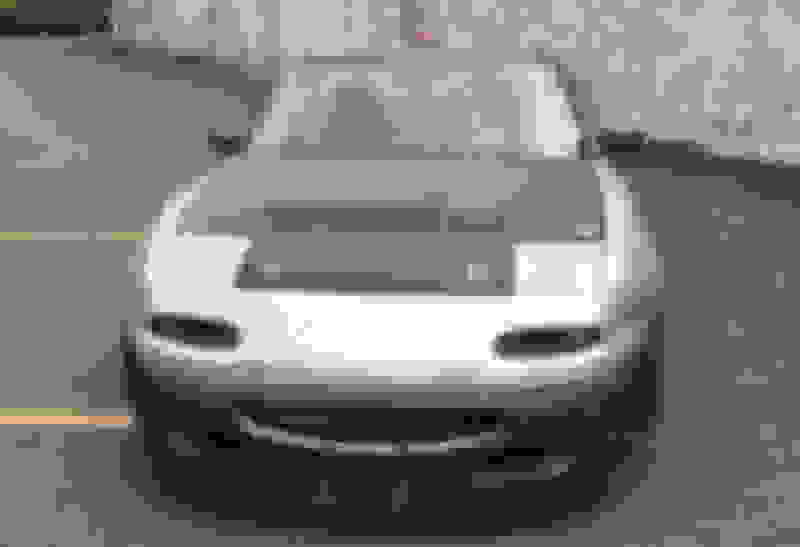 Also, Is the car able to be shipped? 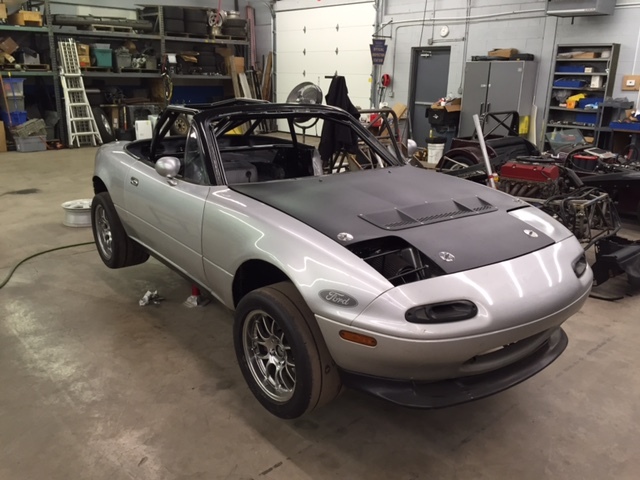 A stock soft top will not fit over the rollcage, but since the rollcage is the same as what I’ve done in dozens of SCCA Spec Miatas, a stock “gutted” hard top will fit. Once I get some free time, my plan is to have a “bikini top” made for the car. I do have the attachment header from a convertible top that can be used as the start for a bikini top build. As far as shipping the car, I would be happy to help in any way necessary to meet with and safely load the car with the carrier of your choice. If you were interested in all of the wheels/tires, I believe that most of them could be arranged inside the car for the trip. Worst case, a few of the unmounted wheels may need to be mailed which is no problem. 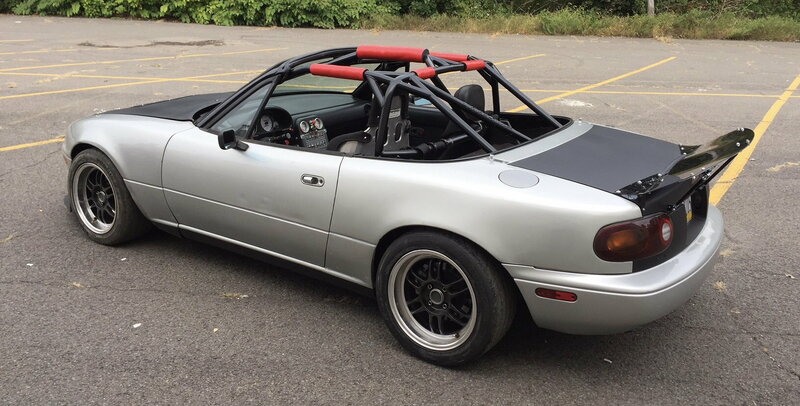 If a hard top that fit the car was included, that would be so much better for me even if it cost more as I live near Seattle where it rains a lot. I do not have a hardtop other than the cracked/smashed one that I use when building roll cages. It is beyond repair and missing the rear window, so perfect for mock-up and building under. Hardtops sell for $1000-1500 in my area and are difficult to find with decent paint. Most are either sun faded or chipped along the back edge. Back when we were building cars, I would grab every one that I could find for under $1000 but over the years the supply chain seems to have dried up. 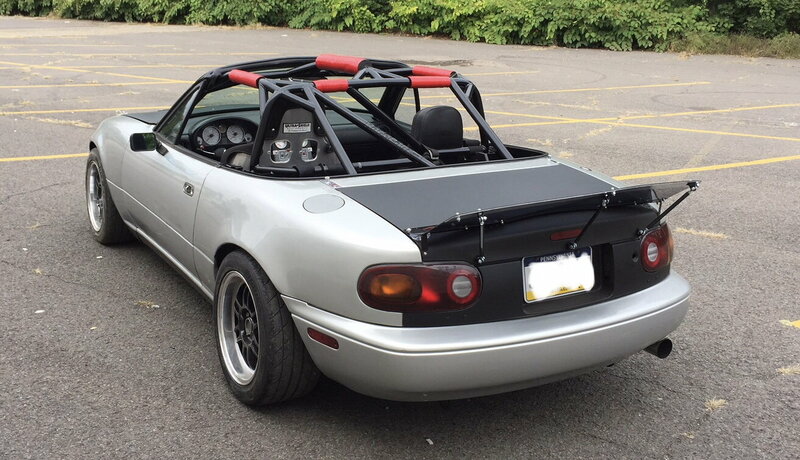 Your local Miata clubs, CraigsList or Facebook marketplace would be places to look for a stock hardtop or SnugTop which is an aftermarket company that manufactured fiberglass tops for Miatas. Great buy and what a V8Miata toy for someone to start out with! It looks great and this could never be recreated for anything near this price. I haven’t posted anything lately, so I figured that I’d give a quick update. - A few weeks back I had a guy come to take a look at the car. After a short test drive, I pulled into the parking lot at the shop and found a nice spot with some level pavement. While showing off, I proceeded to do a little rolling burnout and when shifting second gear I heard a loud “BANG”! Sure enough it broke an axle. Turns out, the DIY axle from when the car was first built 15 years ago, finally failed. - No big deal, just a quick call to Martin at Monster Miata and a new set of axles were on their way. I threw it back together this week, a few hours here and there after work. - Went for a drive today and no issues, so it’s ready for someone who needs a new track toy.